The Suffolk County Police Department has issued a Silver Alert for a missing man from Brentwood. Robert Walter, 64, of Brentwood, is missing. Anyone with information on Robert Walter’s whereabouts is asked to call the Suffolk County Police Third Squad detectives at 631-854-8352 or call 911. Update - July 27, 2016 - Robert Walter was located unharmed. Brentwood, NY - July 27, 2016 - The Suffolk County Police Department has issued a Silver Alert for a missing man from Brentwood. Robert Walter, 64, a patient at Federation of Organizations, located at Pilgrim State Hospital, 998 Crooked Hill Road in Brentwood was last seen being dropped off by a taxi at Checkers, 1825 Brentwood Road in Brentwood at approximately 1515 p.m. on July 26, 2016. Walter, who suffers from schizophrenia, dementia and diabetes, is described as a white male, 5 feet 7 inches tall, approximately 170 pounds. He has blue eyes and gray curly hair. He was last seen wearing a blue flannel shirt, blue basketball shorts and black flip flops. Walter uses a cane and drags his feet when he walks. Anyone with information on Robert Walter’s whereabouts is asked to call the Suffolk County Police Third Squad detectives at 631-854-8352 or call 911. 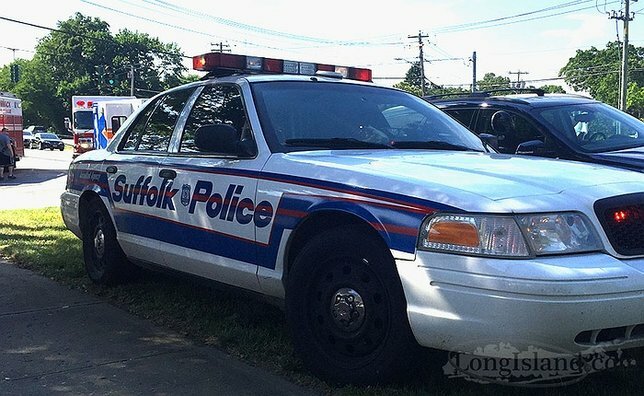 Subject: LongIsland.com - Your Name sent you Article details of "CANCELLED - Silver Alert Issued for Brentwood Man Who Suffers from Schizophrenia, Dementia and Diabetes"